HOUSTON (KTRK) -- When Kate Poole posted a picture on Facebook of Randy Anderson three days ago, she didn't know his name, she only wanted him caught. That's because Poole believes Anderson is the man who robbed her 19-year-old son at gunpoint, and she was determined to find him. "She's just roaming the streets," said Poole. "He started out with no weapons, then he's got a knife, then a gun." Poole posted that last Saturday, her son Tyler Cockrell was on a lunch break from Costco when he was approached by a stranger. The man asked told Cockrell that he worked in the oil and gas industry, but that his car had been towed, and he needed some money to get his car back. In an exclusive interview with Eyewitness News, Cockrell said he agreed to help the man out, but first took a photo of him with his phone. As soon as he took the photo, Cockrell says the man's mood changed, and he brandished a gun. "He told me to walk across the parking lot to the Bank of America," said Cockrell. "He told me to withdraw money from my bank account." Cockrell withdrew $200, and shared the photo with his mother. Poole posted everything on Facebook, and it soon went viral, being shared more than 4,800 times. 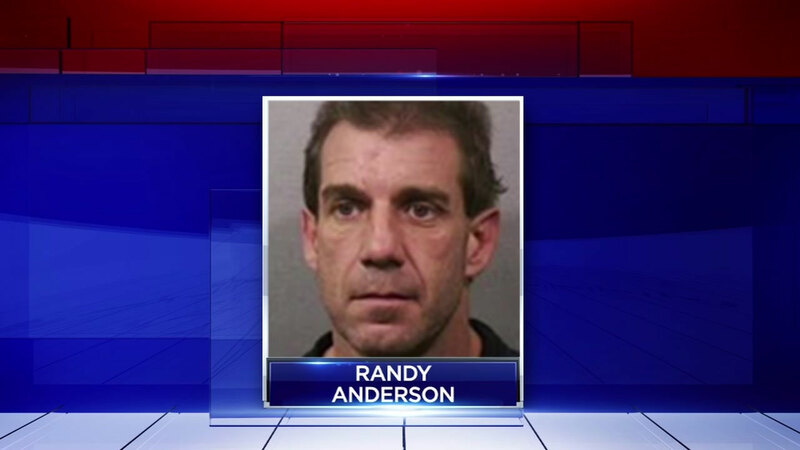 Houstonians quickly identified the man as Randy Anderson. Then, Tuesday afternoon, Anderson was spotted by police at the Kroger on West Gray. He was quickly arrested, and is now facing charges of robbing Cockrell. "I'm definitely glad he's caught," said Cockrell, "so I don't have to worry about my personal safety." Eyewitness News has learned that Anderson has a long criminal history, and has been in and out of jail for years. Poole hopes this time, he'll get some much needed help. "It seems like he's targeting very nice, outgoing people, and the fact that he's taken advantage of those types of people, is what makes me think he's sick and needs help," she said.